Evening in the Saraçlar Caddesi (Saddle makers' Street). 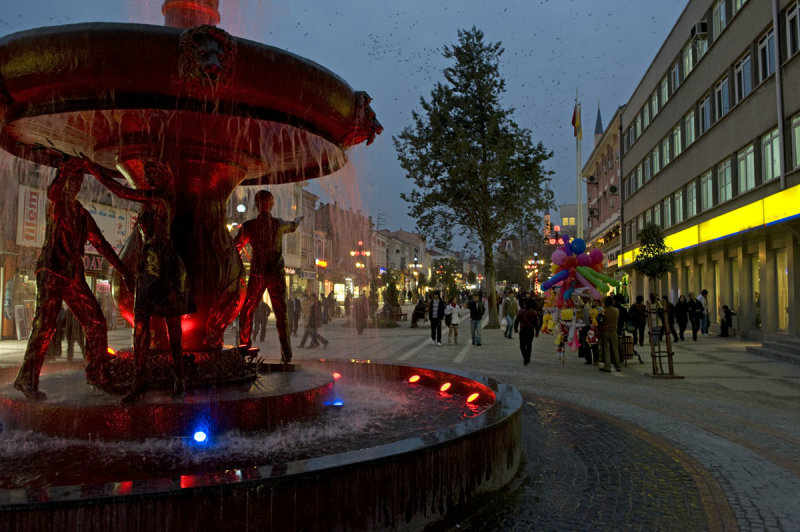 It seems to be the most popular shopping street in this area, and has been adorned with a fountain. The usual girls let loose the usual peace doves. I am getting thoroughly fed up with this sickeningly sweet image that one can now see all over the country, but then again, who's against peace?